We can help with your family law matter. Congratulations on taking the first step towards the thoughtful resolution of your family law matter. We welcome you to our website and invite you to learn more about our firm. AZ Family Law Team offers compassionate family law representation tailored to meet the needs and goals of each individual client. We promise to fight for what is important to you while providing you with supportive guidance throughout the duration of your case. While all legal matters are important, those involving the individuals closest to you – your family – can have life altering consequences. Thus it is crucial that you approach these matters with an experienced family law attorney on your side. The experienced attorneys at AZ Family Law Team, offer the knowledge and support required to guide you through even the most stressful of circumstances. Whether you are facing divorce and custody negotiations or are expanding your family through adoption, our attorneys will take the time to get to know you in order to provide you with the best possible representation throughout your case. What are you waiting for? Contact us now to schedule a free consultation to learn more about what our Phoenix divorce attorneys can do to help you through your family law matter. 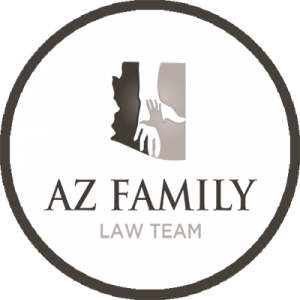 At AZ Family Law Team, we understand that legal representation is not one size fits all. We understand that our clients are individuals, having different expectation and desires with regards to their legal representation. This is why we offer family law legal services in a variety of different capacities, as shown below. Formal and complete legal representation with regards to all aspects of your case, including legal consulting, preparation and filing of documents, and hearing and trial representation. While this is the most expensive option, it also provides clients with the best possible legal representation. We will consult with you and provide our legal opinion with regards to various aspects of your case. This option is best for those clients who wish to represent themselves, but would like to review their option with an experienced attorney. We will represent you in those specific and defined aspects of your case that you are not comfortable handling on your own. This is a cost-effective alternative for those clients comfortable handling certain aspects of their case without an attorney. This is a cost effective option that allows clients to pay as they go for services rendered instead of having to relinquish a large retained payment up front. AZ Family Law Team, is a boutique law firm dedicated to maintaining exceptional client services while obtaining the best possible outcomes for our clients. We strongly believe in the importance of trust in any relationship, and work hard to create a trusting and meaningful relationship with our clients. One way in which we do this is by emphasizing the importance of direct attorney to client communication, minimizing the role that paralegals and other support staff play in your case. To learn more about how we strive to stand apart from other firms, schedule a free consultation with an experienced family law attorney today. At our firm, we believe that the key to all relationships, including that between attorney and client, is a personal connection. For this reason, we offer free phone consultations for all potential clients. This allows us to efficiently manage costs and review the facts of your case to determine whether we can be of assistance. We want you to be confident in the attorney that you entrust to handle your family law case and feel confident that we can exceed your expectations. To ensure that our team members consistently strive to demonstrate this pledge in our daily work, we have created the following commandments for our clients. Each potential AZ Family Law Team client will receive a free consultation to familiarize themselves with our firm with no financial obligation attached. Each AZ Family Law Team client will receive intelligent representation customized to the specific details and their desired outcome. Each AZ Family Law Team client will receive a direct line of communication with their attorney by way of phone, e-mail or text message. Each AZ Family Law Team client can expect a timely response to all questions or concerns. Each AZ Family Law Team client can expect fair and accurate billing practices, including a transparent accounting of fees prior to their accrual. Each AZ Family Law Team client will be presented with a detailed explanation of all legal options and their potential outcomes prior to deciding on the desired legal path. Each AZ Family Law Team client can expect detailed and timely updates with regards to their case. Each AZ Family Law Team client can find comfort in knowing that their attorney will be punctual and thorough with regards to all deadlines and court dates. The attorneys at AZ Family Law Team provide compassionate legal representation for a variety of family law legal matters. Whether your are currently facing the end of your marriage, are struggling to receive the spousal or child support you deserve, or are seeking court enforced time with your children, our attorneys are here to help. Schedule a free attorney consultation today and speak with an experienced family law attorney about the following family law issues. Click through for introductory information prior to your consultation. When marriages end, we provide full service legal representation for both collaborative and contested divorce matters. 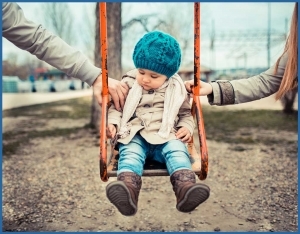 We will fight to protect your relationship with your child and advocate for your desired custody arrangement. Our attorneys can assist in obtaining fair and timely support orders and enforcing previously obtained orders. Professionals from AZ Family Law Team can oversee your conflict and help you come to a mutually acceptable agreement. Our attorneys can help you navigate Arizona community property laws to obtain fair division of marital property and debt. Our attorneys will fight to obtain the monthly maintenance necessary to maintain your financial security. We fight to provide noncustodial parents with the opportunity to spend quality time with their children. Our lawyers draft innovative agreements to protect yourself or your spouse in the case of dissolution. What Can I Expect During my Family Law Consultation? Congratulations! By scheduling a free consultation with an experienced family law attorney at AZ Family Law Team, you are taking a huge step towards resolving your legal issues. It is not surprising that you may be feeling some trepidation about this meeting. It is our hope that, by providing you with information about our consultations, we can help alleviate a portion of this stress. Most initial family law consultations take about an hour in time. Our attorneys appreciate that it takes time to familiarize ourselves with the details of your unique situation and therefore will never rush you through a consultation. Our goal is for us to leave with an understanding of the idiosyncrasies of your case and for you to leave with at least a general understanding of your legal rights and options. This may sound overwhelming, but you will be surprised how fast it goes. There are many ways in which you can prepare for a family law consultation. Perhaps the most important way in which you can prepare is emotionally. At AZ Family Law Team, we understand that issues related to family law matters are often associated with heightened emotions. Unfortunately, many of the questions we ask have difficult answers. Our attorneys are trained to navigate these scenarios with the utmost respect and sensitivity. However, it is important to understand that your attorney may ask about things that are difficult for you to discuss with others. Understand that it is normal to express feelings of anger or pain in these situations. In addition to preparing emotionally for your consultation, it is important that you are prepared to review the details of your current family law matter. For divorce cases, it is important to come prepared with an accurate accounting of current income streams and any assets or debts that your or your spouse may have. In addition, your attorneys will request copies of any supporting documentation related to your case. This may include prenuptial or postnuptial agreement, divorce summons, an order of protection or domestic incident report. On a final note, we at AZ Family Law Team strongly recommend that you spend time prior to your consultation reflecting on what you hope to achieve in your family law matter. 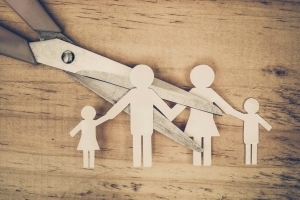 How do you want to resolve your family law matter? What is your ideal outcome? Remember, that all information disclosed to an attorney in a consultation is confidential, so there is no risk to being honest and your attorney depends on complete and accurate information to help you best achieve your goals. Call today to schedule a free initial consultation with an attorney. Let us show you the difference that hiring the right attorney can make. Don’t hesitate to contact AZ Family Law Team today and take the first step towards resolving your family law concerns.